Influencer Highlights - Environ October 2016 | iiaa Ltd | The UK and Ireland distributor of Environ Skincare, jane iredale makeup and Advanced Nutrition Programme. "Environ Skincare is new to me. At my consultation I was told that our skin only really absorbs vitamins. Vitamin A is in most of their products as they believe it is the most important for great skin. But my skin has adjusted to using these lightweight formula moisturisers and I am impressed ..."
"...I just never would have thought someone of my colour would have got sun damage, I've got sun damage like not terrible sun damage but there's sun damage, there's like tiny wrinkles... not major... but the scarring she showed me fast-forward like if I carried on and didn't intervene now what it would look like... and the scaring gets worse... it definitely scared me into looking more at getting products that work... Environ uses a lot of antioxidants and vitamins which is what we naturally have in the skin but we don't produce enough of..."
Can you Reverse The Damage Stress Has Done To Your Skin? "Environ’s advanced vitamin skin therapy addresses the backbone processes with which man has evolved over the last two hundred thousand years. Keeping enough of the crucially important molecules like vitamin A, C and E within the cells simply means that cells are better able to withstand the onslaught of stress hormones and the altered patterns of stimulation brought about by the stress. This does not in any way reduce the need of the other forms of general stress reduction mentioned above, yet it goes a long way to slow down the negative influences..."
"I'm working with the iiaa in the #100dayreset challenge and what it basically is, is starting off completely from day one and changing my skin care routine from what I currently have, which is take off my make-up, cleanse, stick some moisturiser on my face and hope for the best and it's not really good enough. I've been using their products from their three major brands... to try and get my face and my skin the healthiest possible way it can absolutely be. So over 100 days I am going to be tracking my progress and this is day one, so about my skin now, my major issues are hormonal breakouts... then for fortify, it's all about what is on the outside of your skin, this is where they work with a South-African brand called Environ which are a real cult product, they have this amazing AVST range which is all full of Vitamin A, which is incredible... been described as oxygen for your skin..."
"....in order to reform my ways, I'm working with iiaa (International Institute for Anti-Ageing) in the #100DayReset challenge to work towards getting naturally flawless skin. iiaa are the mother group of three major brands that work together in unison... The reason they work so well is because they believe in a feed, fortify and finish philosophy, with the three brands complementing each other. 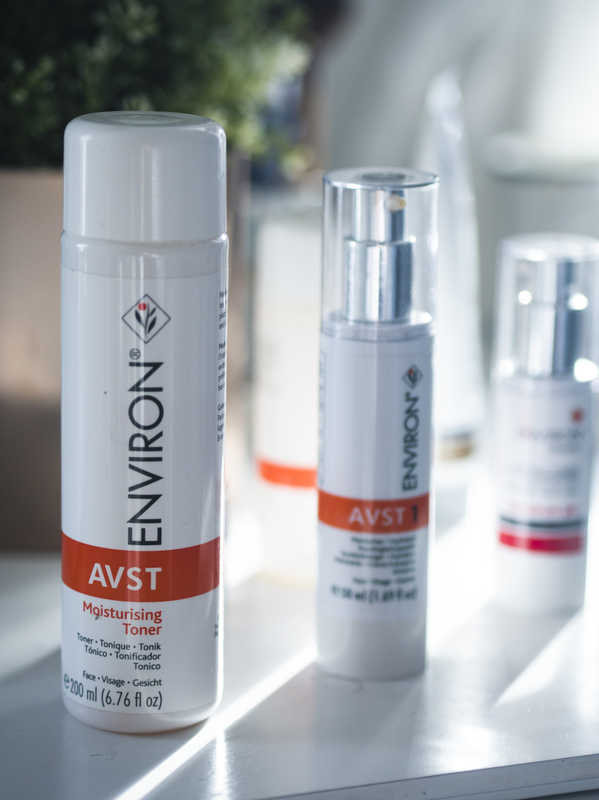 ...Environ skincare, enriched with Vitamin A and a whole world of other incredible ingredients, works with the layers of your skin to prevent anti-ageing and keep skin in optimum health. Dr Des Fernandes, rated among the top 5 plastic surgeons in the world, is at the heart of this brand. He worked to develop products with enough vitamin A to counteract the harmful effects of the environment, pollution, and stress. Because the skin isn't used to vitamin A, it has to become accustomed through a step-up system of products with increasing levels of vitamin A..."